Thanks for featuring my cupcakes and for hosting! Shared with my followers! I can't wait to check out the rest of the links, have a great week! Thanks so much for featuring my recipe this week! So excited for another lovely party! Thanks, Hannah! :) Yes, we'll be going to a bbq true 4th July style! Thank you Anyonita for another wonderful party! Thanks for the feature! I've linked up again :) Hope you have a great week! Thanks so much for the feature!!! Posting on my sidebar! As always, thank you for hosting such a wonderful party. Have a great week! Thank you SO much for featuring my homemade caramels! 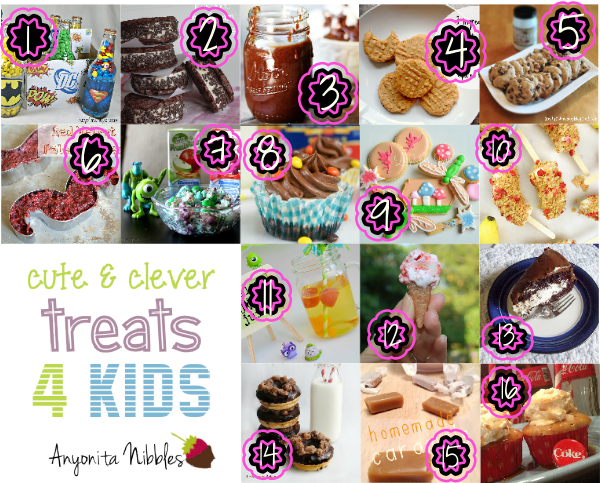 :) And thanks for hosting another great link party! 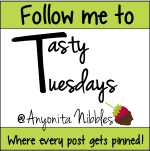 Hi Anyonita, thanks so much for hosting the party this week and for pinning and sharing my recipe! I hope you have a great 4th of July and enjoy the rest of your week. Take care. No worries, Julie! Happy 4th to you & yours! Hahaha I know right, Hazel?! Those cupcakes are pretty much epic! 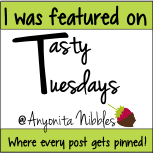 Anyonita, Glad to see the link up this week! I've got a Drunken Mushroom Pizza, a Five Layer Mediterranean Dip, and a Green and Gold Basil Tomato Tart for you. I think I'm pretty much in a party mood with my recipes this week--how strange! DRUNKEN MUSHROOM PIZZA?! Oh, Kirsten! :) Thanks for linking up! Thanks for letting me share. I love the collection of kids stuff. Great for my grandkids! Best wishes for tasty dishes this week! Thank you for featuring our cookies! Thanks pretty lady! Love love love your linkups! Thanks for the invite! I'm your newest follower! Thanks for the party Anyonita and thanks for dropping by at my space.